A specific injury is one which occurs as a consequence of a specific event or incident. A specific injury can occur anytime, anywhere, and in multiple ways. Examples: You fell off a ladder; you drove from one work location to another and got in an auto accident; you stepped into a hole and tore a ligament in your knee; you slipped / tripped and fell on your shoulder tearing your rotator cuff; you fell down the stairs injuring your neck, back, head, etc. ; you were assaulted by a co-worker; you lifted a heavy item and felt immediate pain. We can list a thousand examples, but you get the idea. If an injury happened "on-the-job," then it's work-related. A cumulative trauma (CT) is one which occurs over a period of time: it can be years; it can be months, or less. A CT injury is a series of micro-traumas or repetitive activities. CT injuries cause physical injuries from performance of work activities, resulting in a body part deteriorating or breaking down. A CT injury can also result in an internal injury or a psychological injury. Examples: You have worked in a heavy work environment over a period of time and your back, knee, shoulder, etc. starts hurting without any specific event or gets progressively worse over time; you have been typing for years at work and now you have carpal tunnel; you have been looking at a computer screen and now you have neck problems, middle back problems or even low back problems; you lifted heavy items over a period of time (without an specific event), and your back eventually started to hurt and got worse as time wore on. Again, if work activities even contributed any way to your problem over time, it is caused by work according to workers' compensation law. A compensable consequence is an injury that arises out of or is caused by the original specific or cumulative injury. Examples: You injured your right shoulder and have been using your left arm a lot more and now your left arm is giving you problems; you injured your right knee and put more pressure on your left knee as a result; you take medication for your back injury and now you have stomach problems. Why does understanding these three types of injuries matter? It matters because many employers fill out the DWC-1 (the workers' compensation Claim Form to start your claim) incorrectly. If you were injured and it was a specific event, you should report the injury right away. If your condition is getting worse over time without a specific event (cumulative), then you should still report this to your employer. 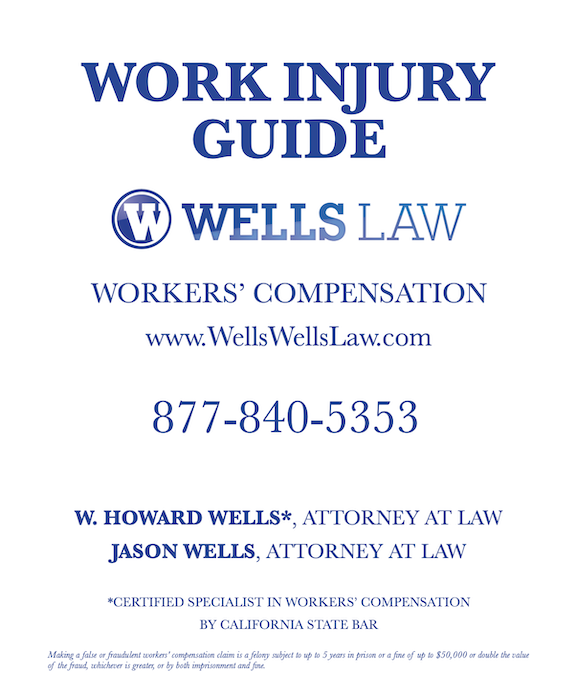 Once your employer is aware of an injury, they are required by law to give you a DWC-1 Claim Form. They should send you to their workers' compensation physician. If they don't, you need to ask them for a Claim Form and fill it out; keep a copy for yourself and mail your employer a copy Certified Mail Return Receipt. This is important, because if the employer can prove you knew you had an injury or should have known you had a work injury, you could be precluded by the Statute of Limitations, and your rights could be barred forever. It is simple when filling out a Claim Form for a specific injury. You put the date you were injured. Make sure you are as specific as possible as to what happened. If it is a cumulative claim, your employer or insurance company will require a "date" in the date of injury. If your injury happened over time, what date do you use? Often times, they put the date you reported the claim or the date you "couldn't take the pain anymore." The Claim Form will ask you how the injury occurred, and you want to make it clear it happened over a period of time. Also, one of the biggest mistakes made by employers / employees (the injured party) is not putting all of the body parts on the claim form. Make sure you add all body parts affected in the accident even if you think it is "no big deal." Many people wake up the next day (or weeks later) and realize that a body part is much worse than they thought on the day of the injury. Don't Be a "Team-Player" or a "Nice Employee"
When most people get hurt, there is a tendency to be a team player or a nice employee. Now is not the time to be a "nice employee" or a "team player," because the insurance company could deny benefits for failure to fill out the form correctly.